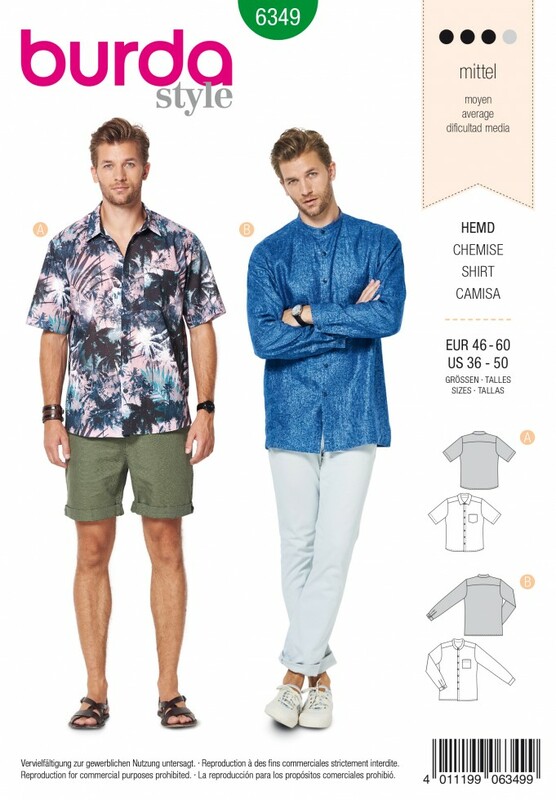 A classic collared men ?s ´shirt in Hawaii Look for leisure and beach wear. Make it up in a solid color fabric or plaid/check and it will work at the office, too. The shirt with a stand collar in India Look will also be popular choice.